A while ago, a few journalists from China visited the Metalab hackerspace in Vienna. They wanted to do a story on ‘fablabs’ and ‘makerspaces’, despite the objections to the residents of the Metalab hackerspace. Apparently, mentioning ‘hacking’ on China Central Television (yes, it’s called CCTV) is a big no-no. All the videos are available in this playlist, and [amir]’s code to generate the colorful rectangles of political activism can be found here. In a related note, we’d like to say ‘hi’ to our one reader in North Korea. Yes, according to the stats and analytics, we have one reader in North Korea. They probably won’t please the audiophiles, but [KJMagnetics] shows you that can create a pair of speakers with some magnets, some plastic cups, and a bit of magnet wire. Creating speakers out of junk isn’t a new idea, of course. However, there’s something pleasant about the build. Maybe it is the symmetry of the cups or the workbench look of the woodworking. We couldn’t help but think that this would make a good science fair project or a classroom activity. Especially since there is a good write up on how speakers work and it would be easy to make simple changes to test different hypothesis about speakers. For example, what happens with more or less wire in the coils? What magnets work best? What does best even mean? Is it louder? Less distortion? Do you love coffee? Of course you do. Do you sometimes wish you could drink coffee instead of water? Do you want to void the warranty on your hot water heater? Yes? Well, then we have the hack for you! A Norweigan science show called Ikke gjør dette hjemme (Do Not Try This at Home) decided it would be fun to see what would happen if you turned your hot water heater into a giant coffee machine. They didn’t put much effort into the conversion, in fact, they just opened up the tank and poured copious amounts of instant coffee into the tank. But they did it, and that saves us from wondering if it’s possible. Spoiler: It is. Stick around after the break to see the water run brown — in a good way. Water is a crucial element for farming: the plants need enough, but not too much. 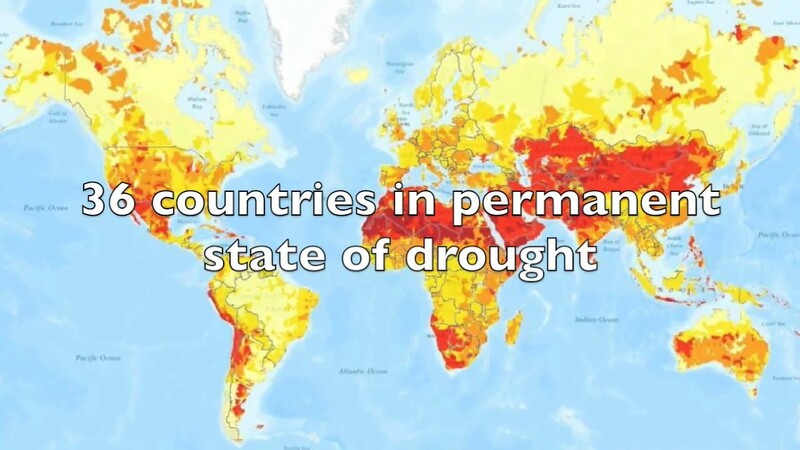 Water is also an increasingly precious resource all over the world. In California, five times as much water is used in agriculture as is used by residential consumers. A 25% reduction in agricultural use, for instance, would entirely offset all urban water use. With this in mind, a number of California farmers are trying to voluntarily reduce their water consumption. But how? One important development is targeted irrigation. Getting precisely the right amount of water to each plant can reduce the fraction lost to evaporation or runoff. It’s a small thing, but it’s a very big deal. The product that won Best Product is simple, but very well executed. It’s a hand-held soil moisture sensor reader that couples with a DIY soil probe design to create a versatile and inexpensive system. All of the 2015 Best Product Finalists were exceptional. Vinduino’s attention to detail, room for expansion, and the potential to help the world pushed this project over the top. Sometimes, the answer to, “Why would you bother with a project like that?” is just as simple as, “Because it’s cool.” We suspect that was the motivation behind [Dirk-Jan]’s project to make portable versions of classic rotary telephones. On style points alone, [Dirk-Jan] scores big. The mid-1950s vintage Belgian RTT model 56 phone has wonderful lines in its Bakelite case and handset and a really cool flip-up bail to carry it around, making it a great choice for a portable. The guts of the phone were replaced with a SIM900 GSM module coupled with a PIC microcontroller and an H-bridge to drive the ringer solenoids, along with a Li-ion battery and charger to keep it totally wireless – except for the original handset cord, of course. The video after the break show the phone in action both making and receiving calls; there’s something pleasing on a very basic level about the sound of a dial tone and the gentle ringing of the bell. And it may be slow, but a rotary dial has plenty of tactile appeal too. Rotary-to-cell conversions are a popular “just because” project, like this conversion designed to allow an angry slam-down of the handset. The orange Siemens phone in that project is nice and all, but we really favor the ’50s look for a portable. It has to be hard to be a kid interested in radio these days. When I was a kid, there was a lot of interesting things on shortwave. There wasn’t any cable TV (at least, not where I lived) so it was easy to hack antennas and try to pull in weak TV and broadcast stations. The TV stations were especially interesting. It was one thing for me to build a dish antenna to pick up Star Trek from a station just barely out of range. But sometimes you’d get some really distant TV station. The world’s record is the reception of a BBC TV station in Australia (a distance of 10,800 miles). That’s extreme, but even from my childhood home near New Orleans, I’ve personally picked up TV stations from as far away as New Mexico. Have you ever wondered how that’s possible? Radio signals behave differently depending on their frequency. The TV frequencies used in the old analog signals were VHF signals (well, the channels between 2 and 13 in the United States, anyway). In general, those signals usually travel through the air, but don’t bounce off any part of the atmosphere. So if you aren’t in a line of sight with the transmitter, you can’t see the broadcast. The other problem is that local stations tend to drown out weak distant stations. A TV DXer (ham lingo for someone trying to hear distant signals) has to wait for local stations to go silent or listen on frequencies where there are no local stations. Synesthesia is a mix-up of sensory perception where stimulation of one sense leads to a stimulation of a second sense. This is the condition where Wednesdays can be blue, the best part of your favorite song can be orange, and six can be up and to the right of seventy-three. While you can’t teach yourself synesthesia – it’s something you’re born with – [Zachary] decided to emulate color to smell synesthesia with his most recent electronics project. For his synesthesia mask, [Zach] is turning varying amounts of red, green, and blue found with a color sensor into scents. He’s doing this with an off-the-shelf color sensor, an Intel Edison, and a few servos and test tubes filled with essential oils. The color sensor is mounted on a ring, allowing [Zach] to pick which colors he wants to smell, and the scent helmet contains a small electronics box fitted with fans to blow the scent into his face. There’s more than one type of synesthesia, and if you’re looking for something a little more painful, you can make objects feel loud with a tiny webcam that converts pixels into pulses of a small vibration motor.